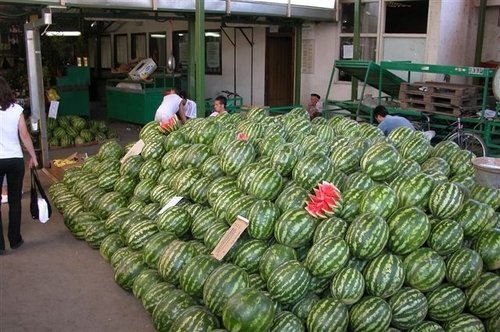 "This display of watermelons is at a "green market" where we shop for most of our vegetables, fruit, dried beans and spices, etc. These items are also available at the grocery stores, but are fresher here at the green market. This would be like a farmers' market in Texas."